I love the neck profile... a very toneful instrument and using both pickups in the middle position produces a wide array of tones depending on how I balance the pickups volumes... Its a work of art! With a construction of premium grade carved maple top on a chambered mahogany body, this guitar has plenty of natural sustain and resonance. 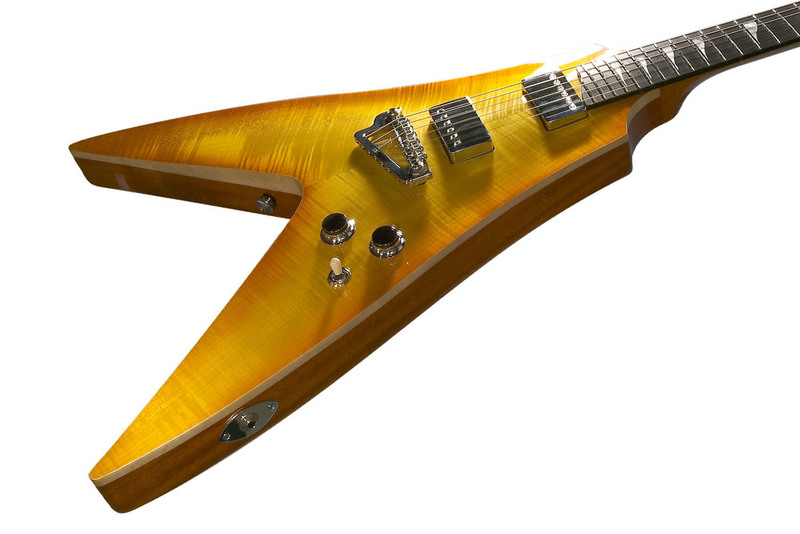 The neck is beautifully carved from one piece of quarter sawn mahogany, creating a very stable neck with a great feel. There is a choice of fingerboard, either rosewood for it's warm tone, or ebony for it's slightly brighter response and durability. All hardware is high quality, chrome plated and made in the US. The lightweight Hipshot Baby Grand bridge/stop bar comes as standard and is fully adjustable. 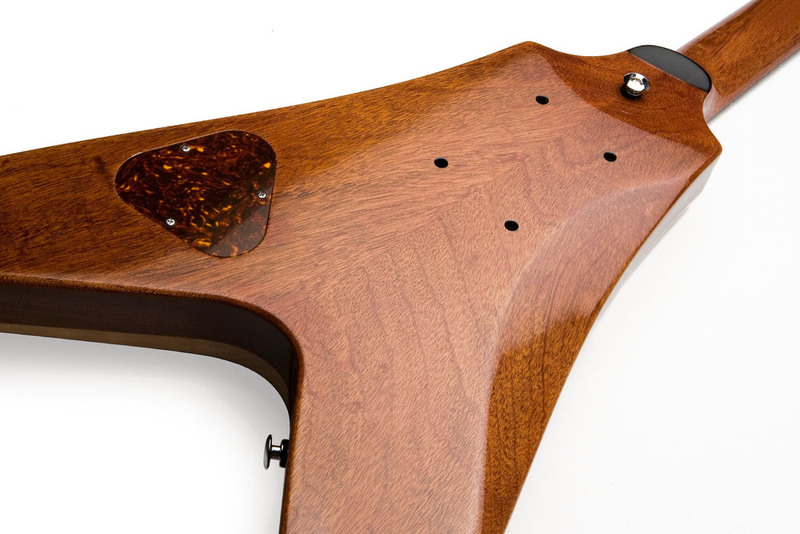 Sperzel Solid-Pro tuners or Grover deluxe tuners can be specified both guaranteeing fine tuning and smooth operation. The guitar is fitted with high quality US made CTS pots, Switchcraft toggle switch and a pull/push tone pot for coil splitting. A 50’s wiring scheme is used in all our guitars as we have found that it minimises treble loss when rolling back the volume. Bare Knuckle humbuckers are fitted as standard with a 'Mule' humbucker in the neck position for its outstanding clarity, extended dynamic range and unmistakable vintage character. A 'Riff Raff' pickup is selected in the bridge position for plenty of snap and a classic range of organic, clean and driven tones. The coils of each pickup can be split by means of a push/pull switch, to further broaden the sound palette. 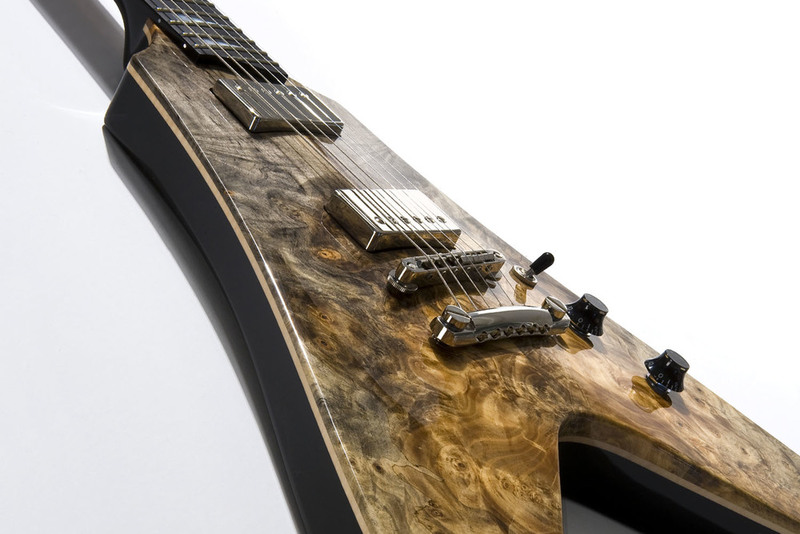 Pickups are mounted by the Case 'Invisible' mounting system that connects the pickup directly to the body for a more positive vibration transfer but you can also choose traditional rings if preferred.